White Paper Published By: Evergage, Inc.
Are you responding in real time to your prospects and customers while they are engaged on your website or in your online application? The future of B2B Marketing is Personalization. With it, you can get to know what your visitors and users are doing and then deliver targeted and personalized content that will allow you to boost conversion rates and improve customer communication and retention. It's time to make the most of your website and online application. 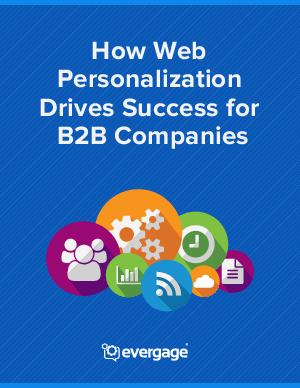 Download the FREE eBook, How Web Personalization Drives Success for B2B Companies, and start improving visitor engagement, conversion rates and customer retention TODAY!